Whether participants are just starting off as receptionists or are veterans, this one day workshop will deliver valuable information and be fun. 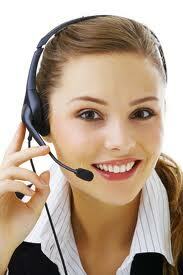 They will be participating with other receptionists who are dealing with similar challenges. Learning together for the day will help them build a support network for advice and establish a sounding board. BGS has been presenting this seminar for several years receiving high accolades from course attendees and their dealer employers. The MDA has utilized BGS's services for several years, been very pleased with the feedback, and highly recommends their program to all dealers. What makes them successful? ATTITUDE! Experience, genuine enthusiasm, off-the-wall humour, and old fashioned hard work blend with their sincere dedication to bring out the best in their clients.